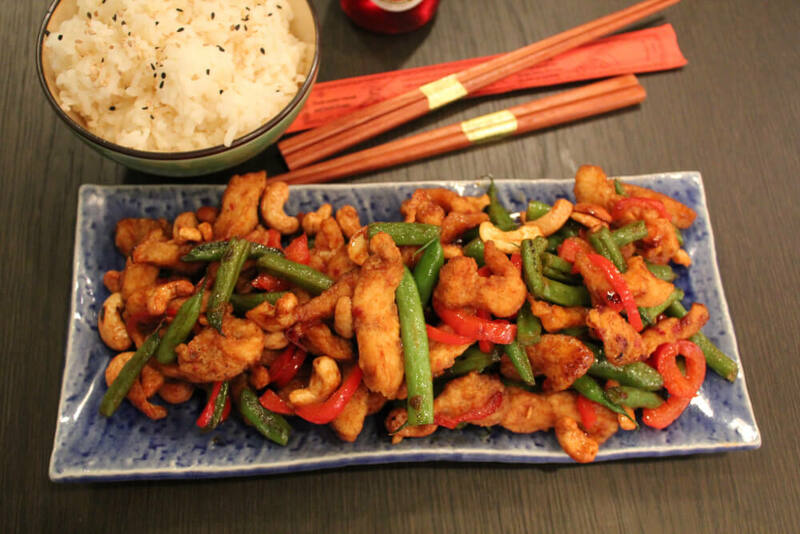 Stir-fries are great because they are quick to rustle up. This pork stir fry with cashews is a great example. So whether your belly is rumbling because it's lunchtime or you need to make a speedy dinner in a hurry because you're going out, try this recipe. You won't be disappointed. 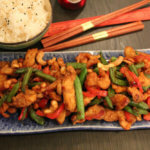 You will need boneless pork, along with vegetables, cashews and some other ingredients to make the sauce. We are including cornflour in the sauce to get it nice and thick. This is good served over your choice of boiled rice or noodles. Although this recipe serves 4, make it just as it is if you're only serving 2 or 3, because you can warm it up the next day for lunch and it is just as good! Stir the broth, vinegar, soy sauce, cornflour and 2 teaspoons of oil together until smooth. Stir-fry the pork in a tablespoon of oil in a wok until it's not pink any more. Remove it to a dish to keep warm. Now add the remaining tablespoon of oil to the wok and cook the broccoli and carrots until tender. Stir in the broth mixture and spring onions. Cook and stir for 2 minutes, then put the pork back in and heat it through. Stir in the cashews then serve over rice or noodles.